In the facilities management equation, there are two vital components: one is, or course, facilities managers. The other is contractors and service providers, without whom, facilities upkeep and asset repair and maintenance could not happen. Facilities managers rely on contractors to fulfill their service needs, which makes it incredibly important that contractors are performing the best work possible. 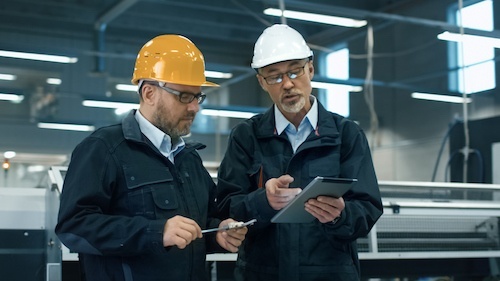 The consequences of improper or inadequate contractor performance can have a detrimental effect on facilities management operations— inefficient R&M spend patterns, assets that do not function properly and subpar experiences for customers. Spend Reduction: Reduce expensive downtime by identifying the providers that can address your needs quickest. Greater Compliance: Track contractor compliance with SLAs, as well as monitor applicable licenses and certifications. FM Efficiency: Use quantitative metrics to identify contractors with the fastest completion times and greatest number of first-time resolutions. Strategic Hiring: Assess which contractors perform the best quality work against their costs so you can confidently hire the providers who give you the best value. Data Visibility: Use metrics from performance reviews to set goals and implement changes in your contractor management processes. When conducting performance reviews, be sure to include the right actionable metrics. These will be helpful in informing and optimizing your contractor management strategy. Measure when contractors are arriving at your facilities to perform work. It’s important to track if contractors are arriving when they said they would, and following proper check-in procedures so you know whether or not they are compliant with SLAs. Check-in metrics can also help you evaluate contractors’ efficiency and adherence to your desired processes. Track how much time elapses between your team creating a work order and contractors arriving to address issues because this metric gives you insight into contractors’ responsiveness. You can then prioritize those contractors that are most responsive and are prioritizing your facilities. Calculate the percentage of scheduled work orders that contractors complete. This gives you insight into contractor reliability and dependability. If they have a high work order completion percentage, you are more likely to hire them again in future. Compute the percentage of first-time resolutions. In other words, how often are work orders resolved the first time a contractor addresses them? Having to address repair and maintenance issues more than once increases spend and decreases efficiency, so this metric helps you identify those contractors that have high first-time resolution numbers. Dig into individual work orders to understand contractor performance at each stage of the life cycle; look at acceptance rates at the beginning of the cycle, SLA compliance and response times during work completion, and invoice resolution once the order is closed. This will give you a good idea of their complete performance and help you identify specific areas for improvement. While examining single work orders in detail can be insightful, it’s also important to expand your view and look at long-term performance so you can see trends. Perhaps you’ll realize that one contractor has a pattern of late check-ins, or that a certain location has higher than average spend; identifying these types of trends can tell you what you should focus on to improve processes across the board. Specialized FM software solutions can streamline your performance review processes by storing and analyzing contractor data across locations and providers. You can also use the platform to consolidate SLAs, set detailed KPIs and track progress towards reaching goals. When selecting a software solution to help you with contractor performance reviews, look for one that uses analytics and includes customizable reporting dashboards that will give you actionable insights automatically. Ensure you can set dashboards to show those metrics that are most important to you. Performance reviews are not only helpful for facilities managers, but they are also useful tools for contractors. Contractors want to be able to provide the best service possible, since this is how they win and retain business. Detailed performance reviews let contractors know what they are doing well and also how and where they can improve using quantitative data. Specialized contractor review software solutions even allow contractors to view reviews directly in the platform, which is an extremely efficient method for providing feedback. By helping contractors help you, you both win. Learn more about using contractor performance reviews to optimize your facilities management processes.